KEB continues with this success story and has introduced the 4th generation of KEB lift drives theKEB COMBIVERT F5-Lift. Backed by 28 years of experience, we have emerged as the leading company in the field of servicing & marketing of factory automation products including machine tools & process automation accessories. Further, to meet the emerging market requirements, we have also taken up the dealership of M/s GIVI Measure products, SEW EURODRIVE Gmbh, Delta TAU Switzerland, WEICON Wire Stripping Tools GMBH, AXOR Industries Italy & HPB Taiwan. In respect to the Process Control Automation, we also also meet the supply demands of accessories used in CNC Machines. 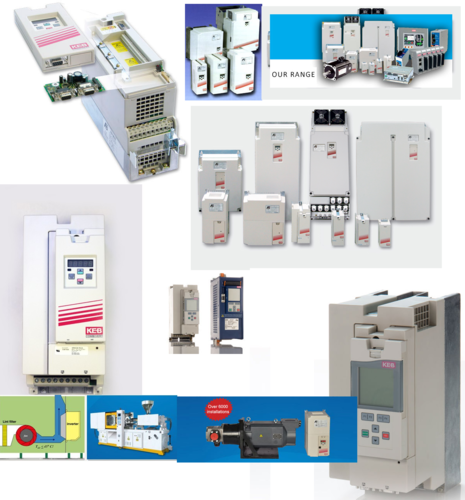 These include Electronic Readouts, Digital Readouts, Compact Digital Readouts, AC variable Speed Drives, DC variable Speed Drives, Encoders & different categories of related automation. All these products are offered by authorized and certified importers, thus enabling us to supply accessories for all brands of products under one roof. Further, we also take up Annual Maintenance Contracts for any make & type of Drives & CNC machines. Some of the reputed clients who understand our quality and are associated with us include Kennametal, HAL, NAL, ADE, Hidri tools Pvt Ltd, TATA Motors, ISRO, Geetha Machines, HYT, Mahindra & Mahindra Mumbai.